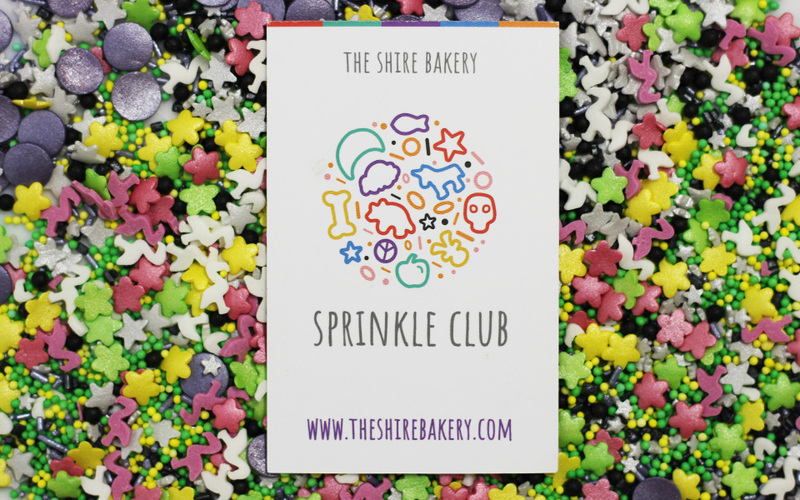 The Shire Bakery is a fast growing business which needed a creative visual style to allow them to build a brand that is flexible and scalable. Canny created a visual style, along with multiple brands, that help push the business turnover and profits to the next level.
" The identity and website Canny built for me has helped to grow my business and take it to the next level. From logo design, to stationery, to website, to now helping build the brand, Canny are the nuts! " 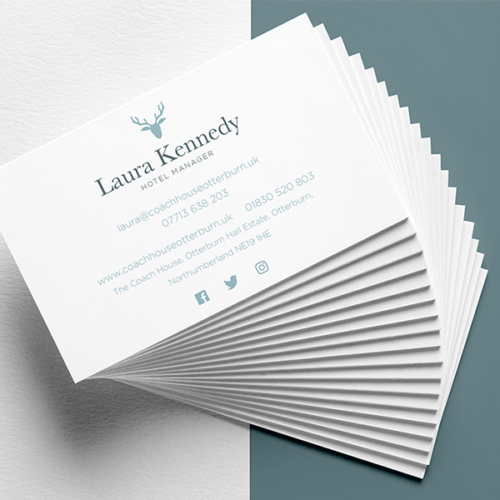 One of the challenges we faced was that the client needed two stand alone brands that could also work cohesively under one umbrella brand. We started with exploration into colours and tones that created a playful and colourful visual style. 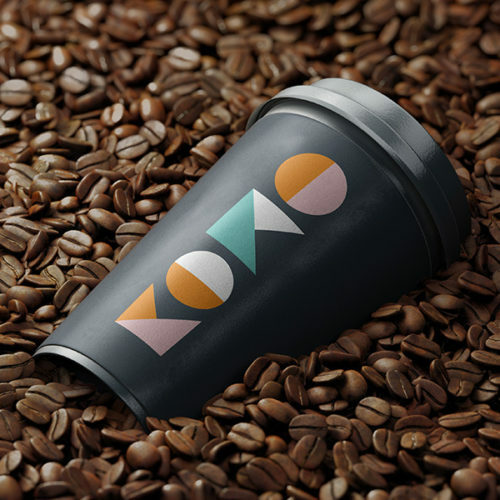 Implementing this visual style in both brands allows them to work independently of each other, as well as working under the main brand umbrella. 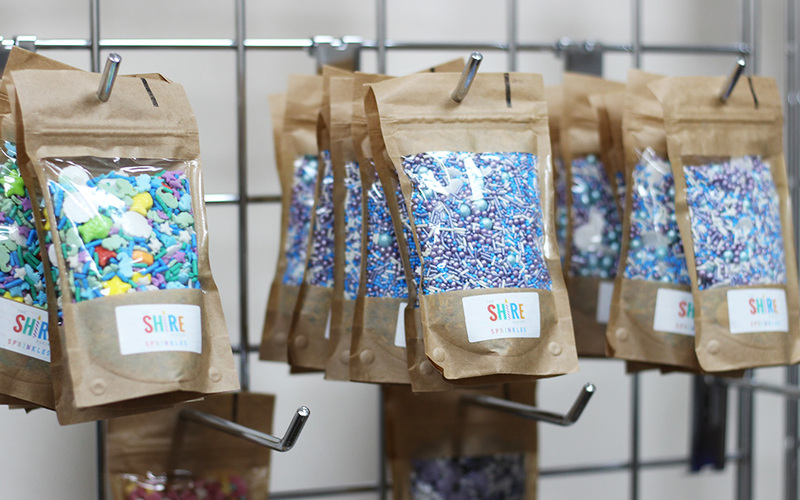 The Shire Bakery has always been a successful e-commerce website. 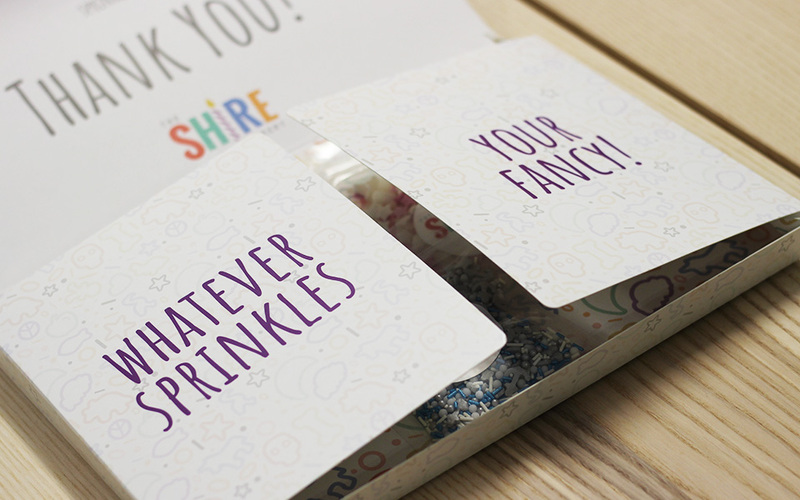 However, the client really wanted to take her business to the next level and had been working on creating a subscription Sprinkle Box. We worked with her to develop the Sprinkle Club idea, name, brand identity, and packaging design for the business. 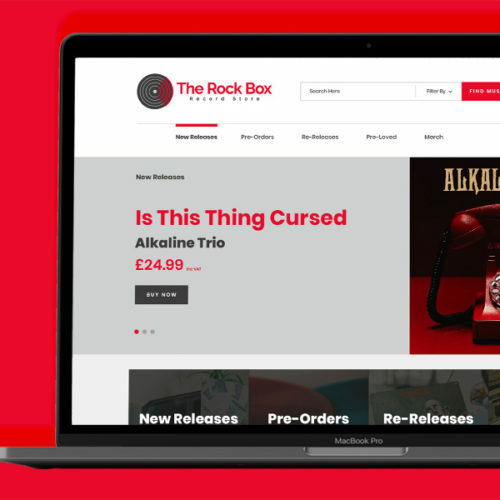 The website was also extended out to account for subscription and membership functionality. 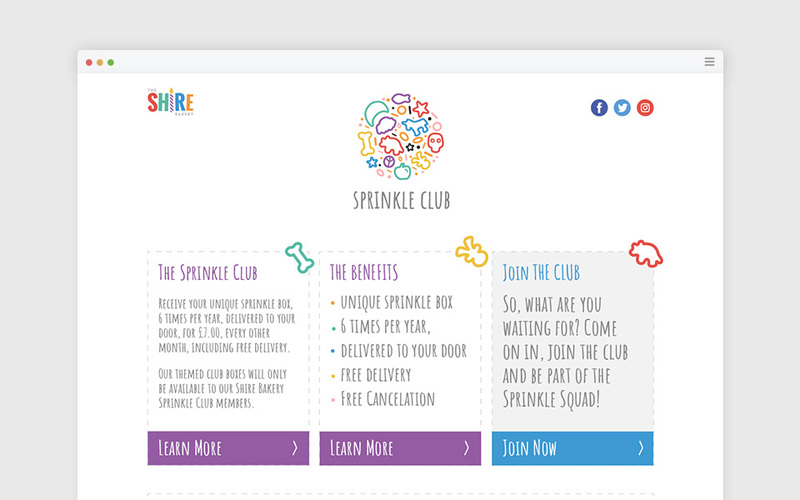 The Sprinkle Club is a huge success with over 250 members in the UK alone. In the retail industry promotional items are a must and The Shire Bakery simply didn’t have any. 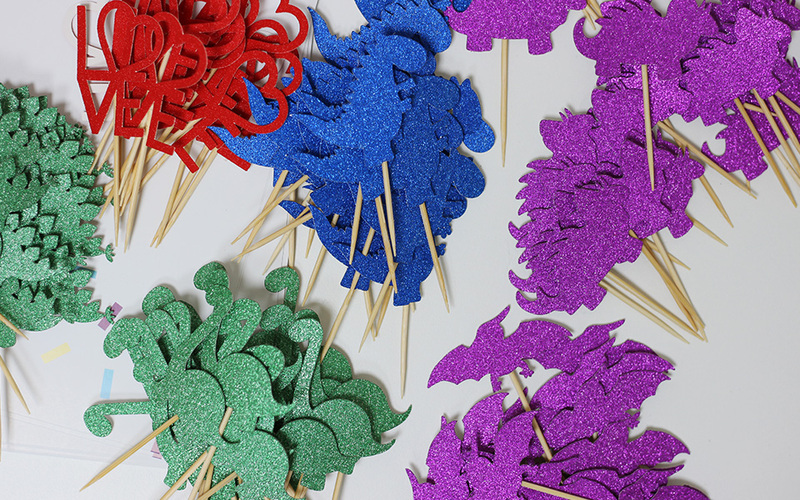 The promotional items had to be effective in visualising the brand to the customer base and beyond. The items also had to be a cost friendly, profit efficient solution that worked to enhance the marketing efforts of the business. 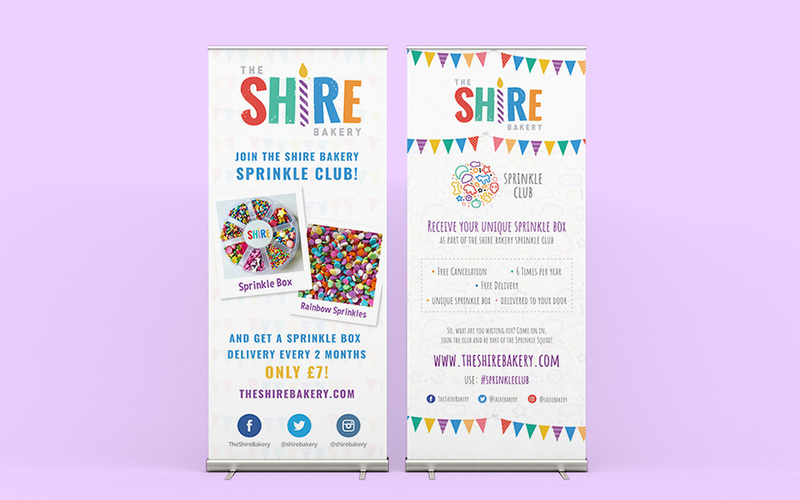 Using both brands we created a range of promotional items including business cards, Sprinkle Club packaging, roller banners, event stands, stickers, and many more. 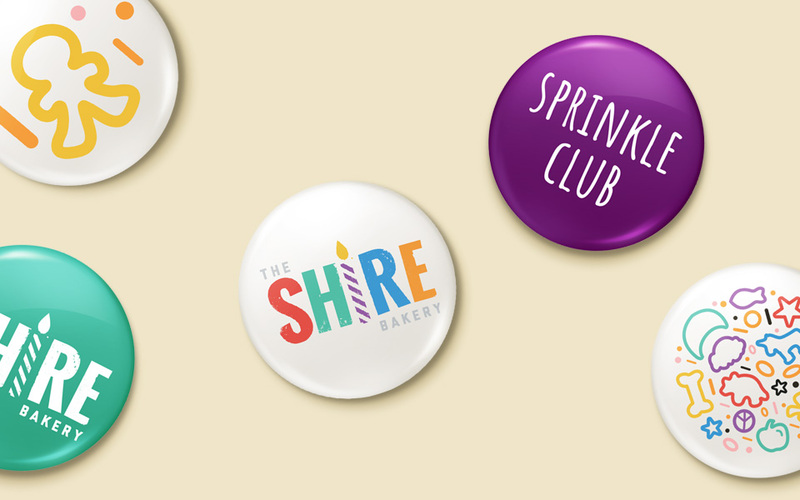 The key to the marketing materials, was making them feature both The Shire Bakery and Sprinkle Club branding, so both brands benefit at the same time. The client exhibits at the London Cake and Bake Show which has momentous footfall and traffic. As such, they needed further promotional items and give aways to make the most of the visitors to their stand. We created a full range of branded promotional materials and give aways to aid the clients marketing efforts at this show, and any other shows they might attend in the future. 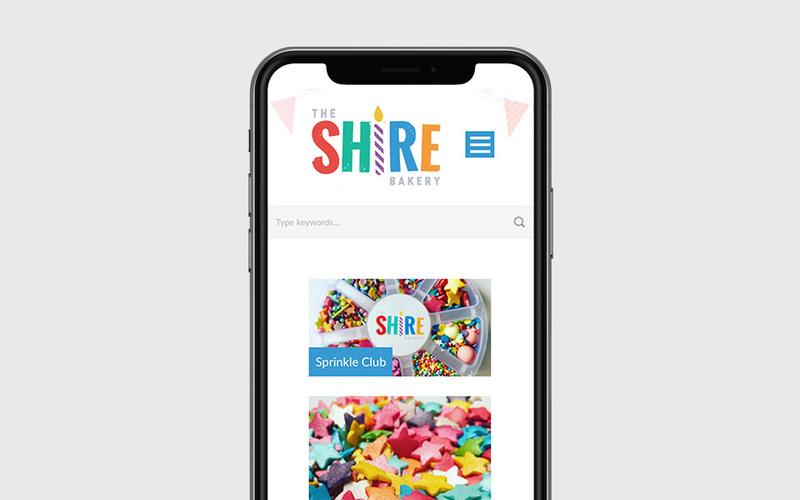 The Shire Bakery website visitors were very used to the Shire Bakery brand, so the Sprinkle Clubs efforts were hindered. We created a landing page specifically for The Sprinkle Club to educate the users on the benefits of joining or subscribing. This has helped massively and raised subscription numbers dramatically, and, the numbers continue to rise. 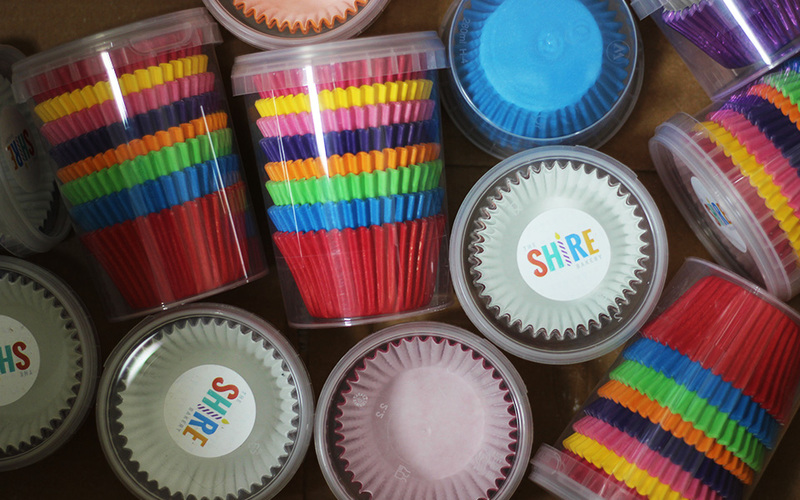 The Shire Bakery brand is expanding quickly and is always in need of visual brand elements. We continue help grow the brand and push sales in a customer friendly manner.